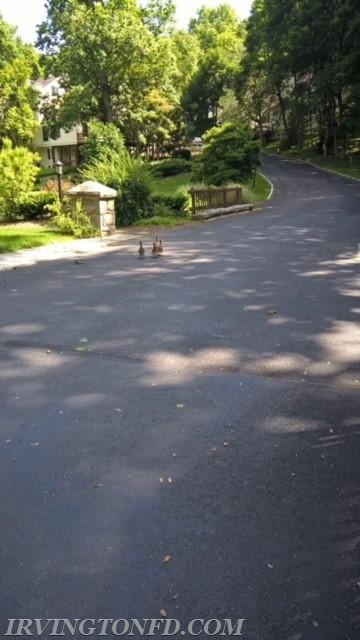 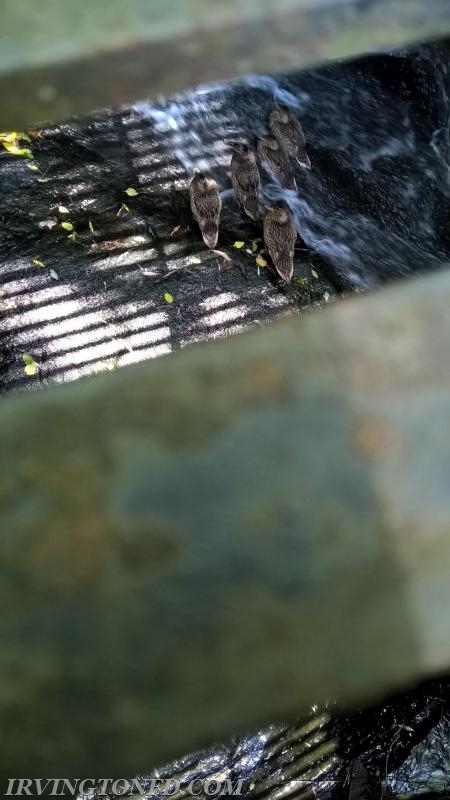 On Thursday afternoon the Irvington Fire Department was dispatched to the area of Harriman Road and Richmond Hill for ducks trapped under a steel grate in a stream. 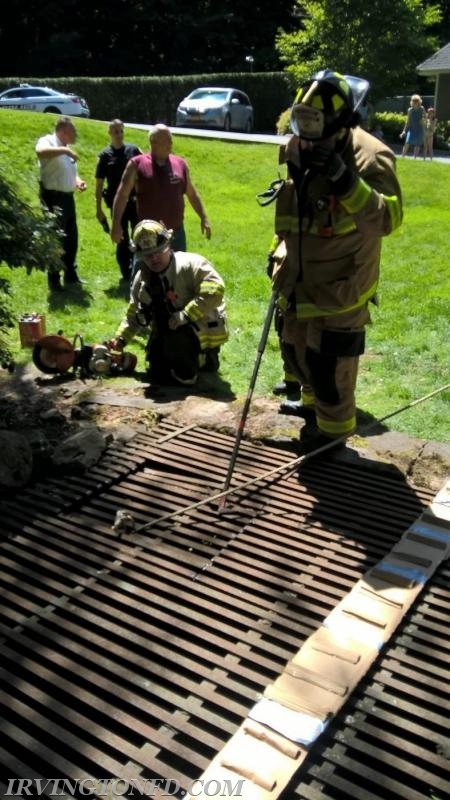 Upon arrival, Chief Trama ordered units to take a saw and cut the steel grate. 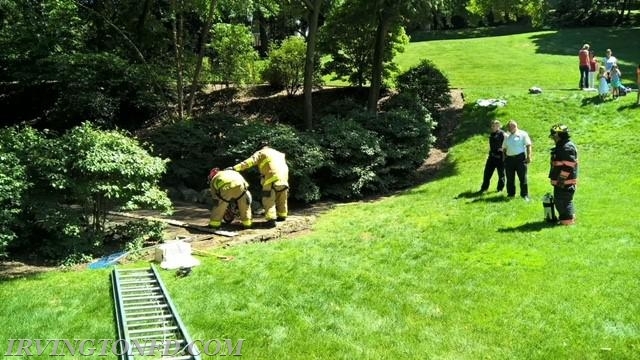 Members were able to successfully extricate the ducks and they went on their merry way. 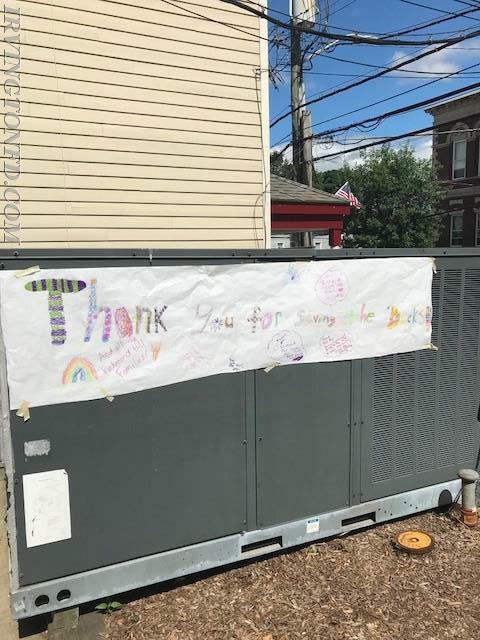 A nice thank you poster from the folks at Richmond Hill.